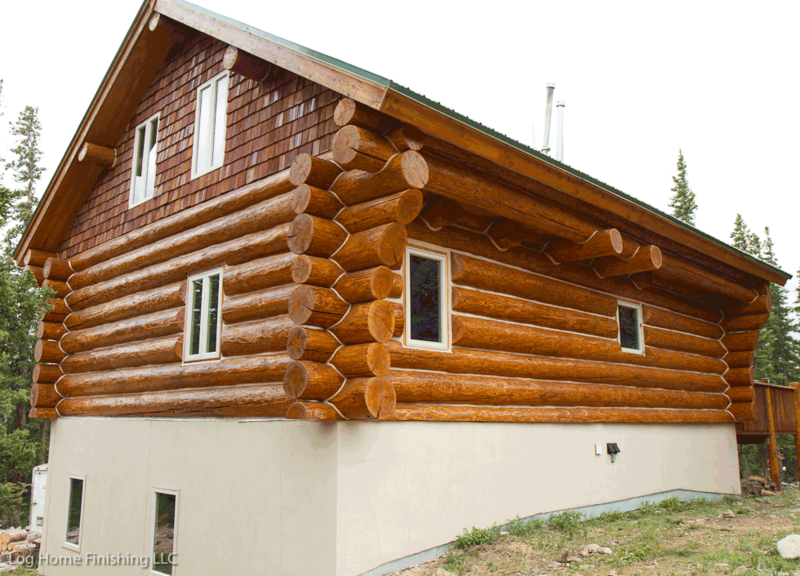 Log Home Finishing LLC is a Colorado log home maintenace and log restoration company dedicated to helping you decide what is best for your Colorado log cabin or wood sided mountain home. A unique log home maintenance service because we clean and prep your log home prior to applying log stain or log chinking. Services include log home maintenance, pressure washing, media blasting, log home chinking, log home staining, log rail repair / log deck maintenance, and log home restoration. Log Home Finishing will help you decide what is best for your log home project as only you know best! Log Home Finishing for your log home cabin maintenance needs. Start your log home maintenance project with a log home inspection of including a log home thermal imaging analysis. Use the Log Home Finishing Cost Calculator to estimate the cost of your log home maintenance and repair project. 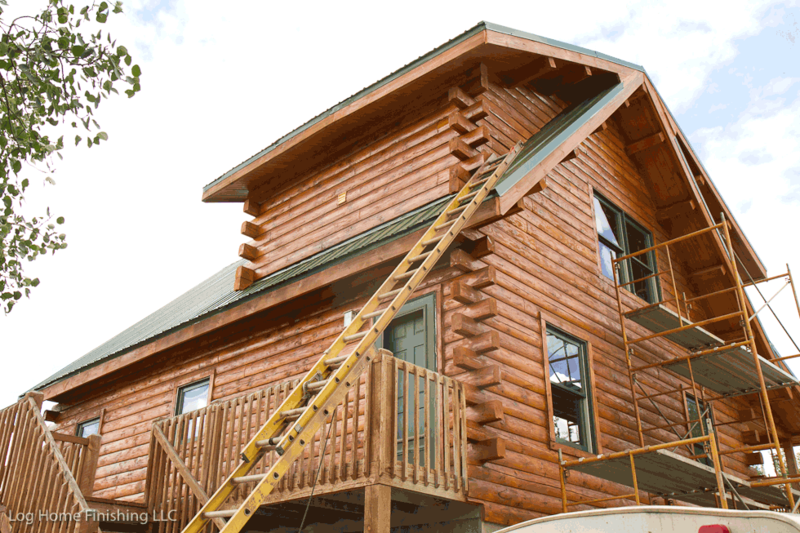 Check out project photos of our current log home maintenance and restoration projects on our log home finishing blog. Log Home Finishing is the best log home stain and chinking service for Colorado log home cabin owners. All log homes require chinking or use of textured caulk for sealing between the log joints in order to be properly sealed. Swedish Cope log homes, D-Log homes, Traditional Round log homes, and 2 X 12 log siding, are just some of the common log joints which our experienced log home maintenance crew knows how to properly seal. 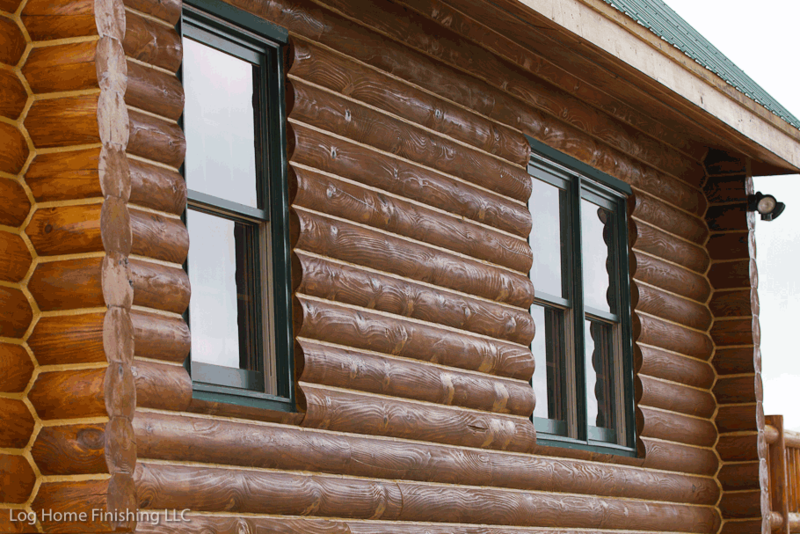 Conceal Textured Caulk and Log Jam Chinking from Sashco Corp. are the sealents which we prefer to apply to your cabin. Log Home Finishing also works on log home chinking maintenance and rotten log repair and will supply all log home material for your log maintenance project. Media blasting a log home with corn cob or walnut shell to remove old finish is a green method and very efficient and gets the job done better than sanding the logs to prepare for log staining. When a log home is beyond log home maintenance it has entered the log home restoration phase. Our Surface Tek media blaster is capable of a variety of media including corn cob, walnut shell, and crushed glass to blast your logs. Other restoration aspects include removal of old chink and grinding harder to remove exterior and interior finishes from log home cabins. Log Home Finishing uses Abatron Epox to repair rotten logs. Sashco Log Jam chinking is the chink that Log Home Finishign applies. Log Home Finishing provides samples on site of the log stains that we use. Provides lasting protection for your log home by using the best log home stain.